The G-QRP club was formed by Rev. George Dobbs G3RJV in 1974 to cater for those interested in low power communications after a group used to meet around 3.560MHz. In the year 2000, the club celebrated its 25th birthday and we continue growing year by year. In 1974 the power levels to qualify for QRP was three Watts input. In the mid 1980's, by general agreement throughout the world, the power level of five Watts output (for CW) became the acceptable limit. Note, this level is at the transmitter, NOT at the antenna! 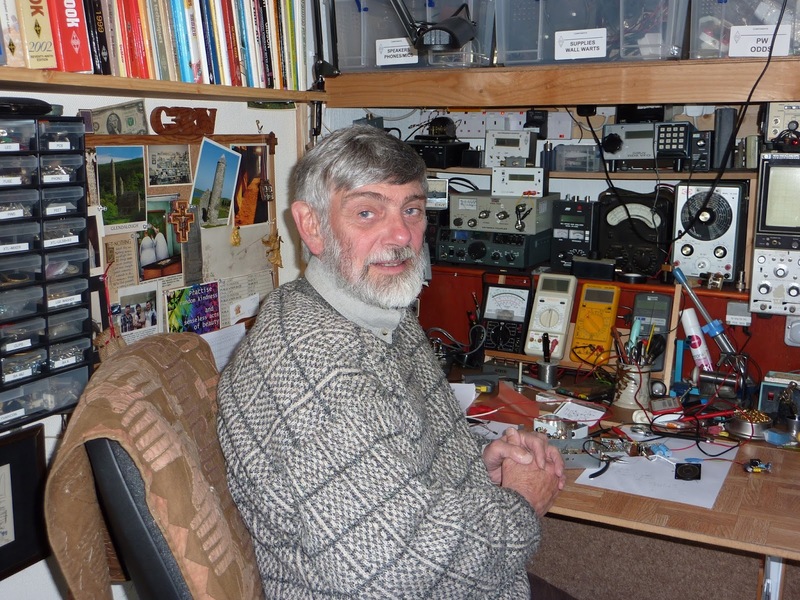 For SSB 10 Watts PEP is regarded as QRP. The club has a quarterly magazine called SPRAT, so called for Small Powered Radio Amateur Transmissions. This magazine is 2/3 full of circuit ideas and 1/3 editorial. Until his passing in 2019 it was edited by George. Now all ideas circuits and other articles may be sent to Tex Swann G1TEX. Few can deny that SPRAT just gets better each year, but even Sprat No.1 was a rattling good read. Each year there are a few gatherings of interest to members. News of these will appear on the Club Diary pages on the club web site and of course, within the pages of SPRAT. The club also tries to attend as many rallies as possible. Keep a lookout for events near you. Find out how to join the GQRP club here. This page will develop over the coming months as we build this memory of our founder George Dobbs G3RJV and his many accomplishments. To say that he was a prolific author rather understates the huge volume of work that George left behind. From 1996 to 2015 he authored an article in every issue of Practical Wireless. Tim Ostley M0CZP has created a bibliography for us of the "Carrying on the Practical Way"	series and it is available here. In 2009 George was interviewed by Practical Wireless. We are grateful to Warner Publishing for their permission to make it available for people to download and keep. 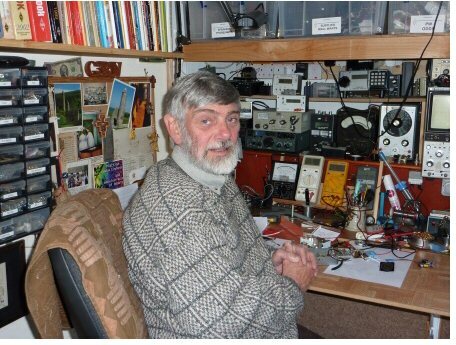 Shortly after his passing, the club published a special edition of Sprat containing memories of people who knew George or were influenced by his simple philosophy of building your own radios. That special Sprat was sent to all members current at the time but is available to download from this page. Since the publishing of that special issue of Sprat we have also collected more tributes to George and that document will also soon be made available for you to read. For those who never heard George speaking about our hobby, here is a rare recording of him at the Lough Erne Amateur Radio Club Rally a few years ago.